Another summer season will soon be upon us, and along with it, the constant battle to control weeds. 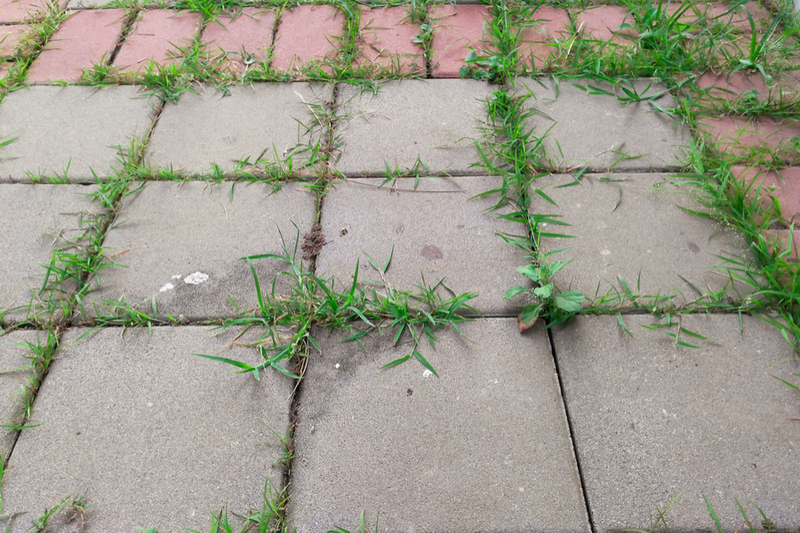 Not only are weeds an eyesore, they can be difficult and stubborn to control. Especially weeds growing in driveways, walkways and patios. Many folks today are looking for a safer alternative to control weeds. Thankfully, for many, long gone are the days of just blindly applying the latest herbicide. The simple truth is that using herbicides to control weeds can not only be dangerous to you and the environment, but expensive as well. And believe it or not, there are plenty of all-natural methods to control weeds that work as well, if not better! Here are 5 great solutions for all-natural weed control. Remember that all of these work best in areas where you are not trying to grow anything at all – such as driveways, walkways, paths and patios. Strangely enough, one of the most effective methods to take out unwanted weeds is pure boiling water! It actually works extremely well, especially for stubborn weeds coming through cracks and crevices. Simply heat up a boiling pot of water and pour over the foliage of the weeds. It is both fast and effective – and virtually free! Be sure of course to protect yourself from the scalding hot water. Another highly effective and inexpensive homemade solutions is mixing water with a little salt. This works by drying out and dehydrating the plants. Ordinary table salt works well, and is quite economical. For best results, first heat water to a low boil in a pan. Add in salt along with the olive oil, and stir until dissolved. Let the mixture cool and then transfer to a spray bottle to apply. Apply on hot and sunny days for maximum effectiveness. The mixture will be most effective when weeds are under the most stress, and the sun and heat provide plenty of that! Although this is great for driveways and patios where plants will never go, it is not good to use in existing flowerbeds. The salt will settle in the soil over time, making it hard for anything to grow. Perfect for walkways and no-grow areas – but not for existing flowerbeds. Vinegar has long been used for making a great all-natural weed killer. Traditional store-bought vinegar will work, but it’s lower acidity of 5% is not as effective as horticultural vinegar. Horticultural vinegar can range from 20 to 30% acidity, and is highly effective at weed control. It can be used full strength for maximum kill. However, mixing a 30% solution of horticultural vinegar in a 1:1 ratio with water will effectively kill most weeds in driveways and on patios. Horticultural vinegar can be hard to find in local stores, but start by asking your local farm stores. If not, it can also be found on-line. One of the more fun ways to take care of stubborn patio and driveway weeds is with a weed torch. There are a wide variety of models available for both small and large areas. Smaller models will attach to a propane or butane canister and can be used easily. For larger areas, you can find roll behind models that have a strap-on fuel tank. Do you have a great gardening tip? Or perhaps you would like to share a few pictures and a story about your own personal paradise? Then email us today at info@thisismygarden.com. You can also use the “Feature My Garden Tip” button at the top of the website for your entry. How To Grow Aloe Vera – The Wonder House Plant That Heals! December 15, 2018 TIMG Comments Off on How To Grow Aloe Vera – The Wonder House Plant That Heals! June 13, 2018 TIMG Comments Off on Succession Planting – How To Get More From Your Garden! Getting ready for the onslaught of weeds. Thank you for the recipes, and for getting these alternatives out there! Our pleasure Tanya! Thank you for taking the time to read our articles!